Linda Acaster: October is #BookADayUK - Enjoy! October is #BookADayUK - Enjoy! Now the nights are drawing in, thoughts turn to cosy cushions and log fires, hot chocolate drinks and... a good book. 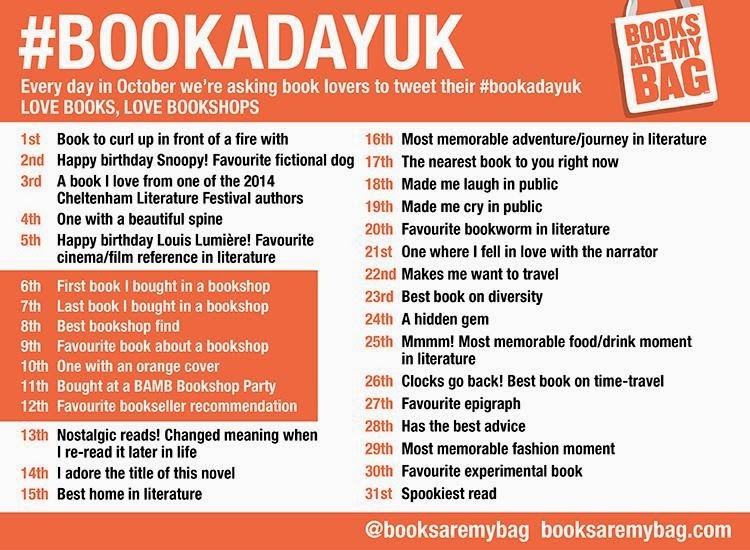 BooksAreMyBag.com are hosting #BookADayUK on Twitter. Catch them on https://twitter.com/booksaremybag for some indulgent reads. On Saturday 11th there may well be an event at a bookshop near you, so keep an eye on your local press. 1st October: a book to curl up in front of a fire with... I'm choosing This Time Forever by Linda Swift. She's a good friend, the title is launching today as an ebook, and it's currently being made into a short film, Clarissa's War. Can an author do better than that? By the time I've stopped typing, with a bit of luck it will have downloaded to my Kindle. Which book are *you* choosing to kick off #BookADayUK? Great post, Linda. I may well pinch some of this to put on my own blog. Thanks, Stuart. By all means spread it far and wide. I believe that's the idea. "Torc of Moonlight Box Set"
The content of this site is copyright to Linda Acaster (c) 2010-. Powered by Blogger.